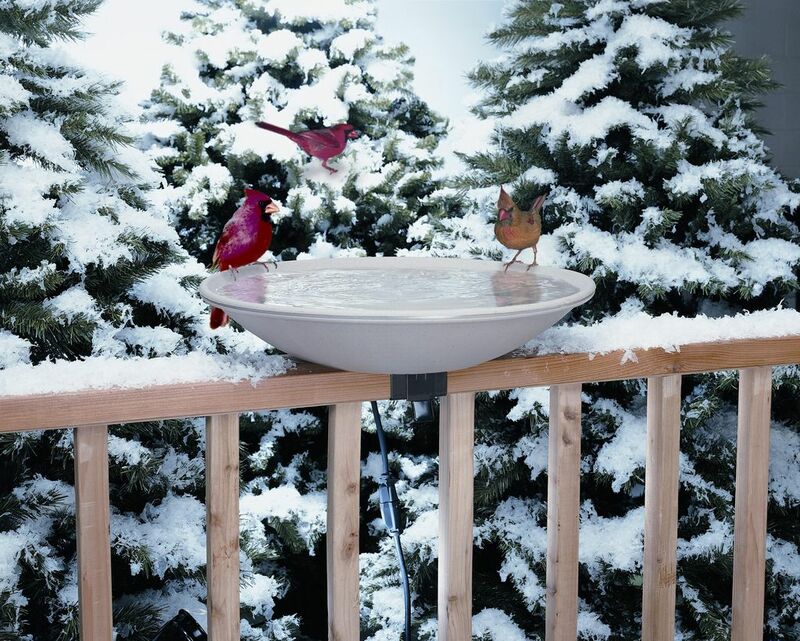 Keep your local birds happy all year with this 20 inch heated birdbath. The fully enclosed heating element safely keeps water free from ice all winter long. 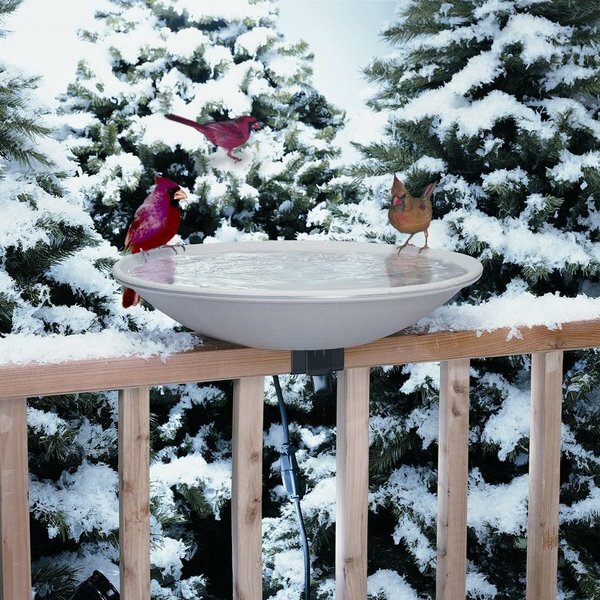 This birdbath mounts to either a 2 x 4 or 2x 6 deck rail, and handy EZ-Tilt Deck Mount makes cleaning, emptying and storing simple. The bath lifts and tilts for hassle-free maintenance. The 2 inch depth is ideal for a variety of birds, while the gradual slope encourages bathing. Includes EZ- Tilt mounting hardware. Weather resistant construction for years of use. LOCKNDRY compatible. 1 year warranty. 150 Watts, 120 Volts, 60 Hz.